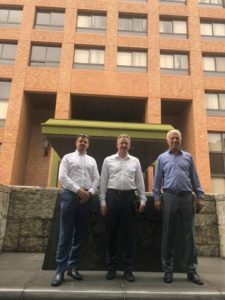 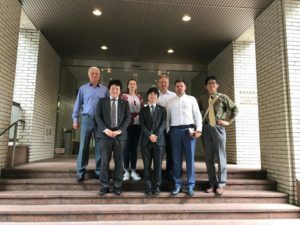 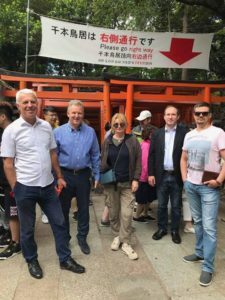 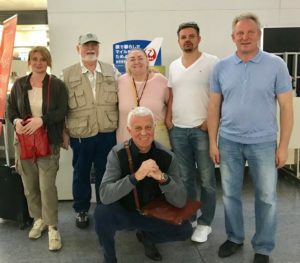 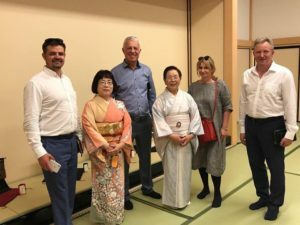 You are here: Home › News › The International Cultural-Educational Association (ICEA) hosted a group of Ukrainian law professionals who participate in a program that was conducted during May 13-20, 2018 in Tokyo, Nagoya and Kyoto, Japan. 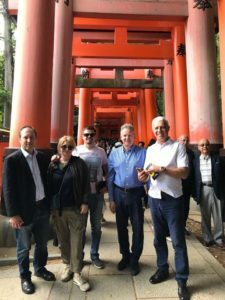 ← The International Cultural-Educational Association (ICEA) hosted a group of international legal professionals who participated in a program during September 18 – 25, 2017 in Chicago, IL. 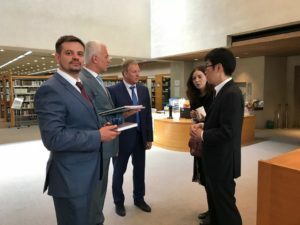 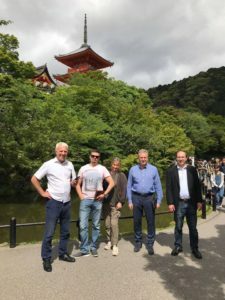 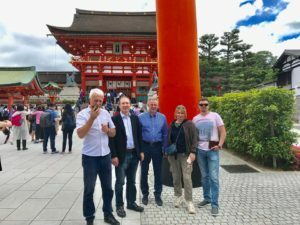 The International Cultural-Educational Association (ICEA) hosted a group of Ukrainian law professionals who participate in a program that was conducted during May 13-20, 2018 in Tokyo, Nagoya and Kyoto, Japan. 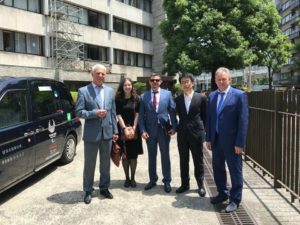 The program objective was to introduce Ukrainian legal professionals to the Japanese Law system. 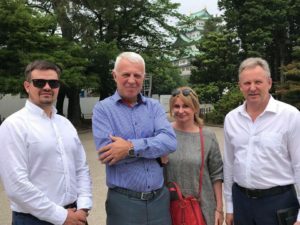 Oleg Horetskyi – Attorney, Managing Partner of Goretskyy and Partners Law Firm, Kyiv. 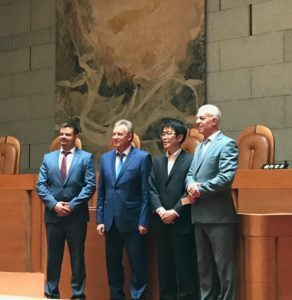 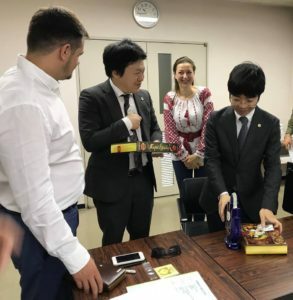 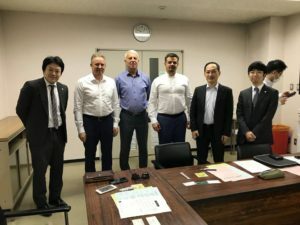 Kiyoshi Midori and Takeshi Tamatsu – from Crossroad Japan Co., Ltd.
Ukrainian delegates also took part in several cultural and community activities, like meeting with leaders of Japanese Ukrainian Culture Association, visited museums, Japanese architectural and cultural places of interest.